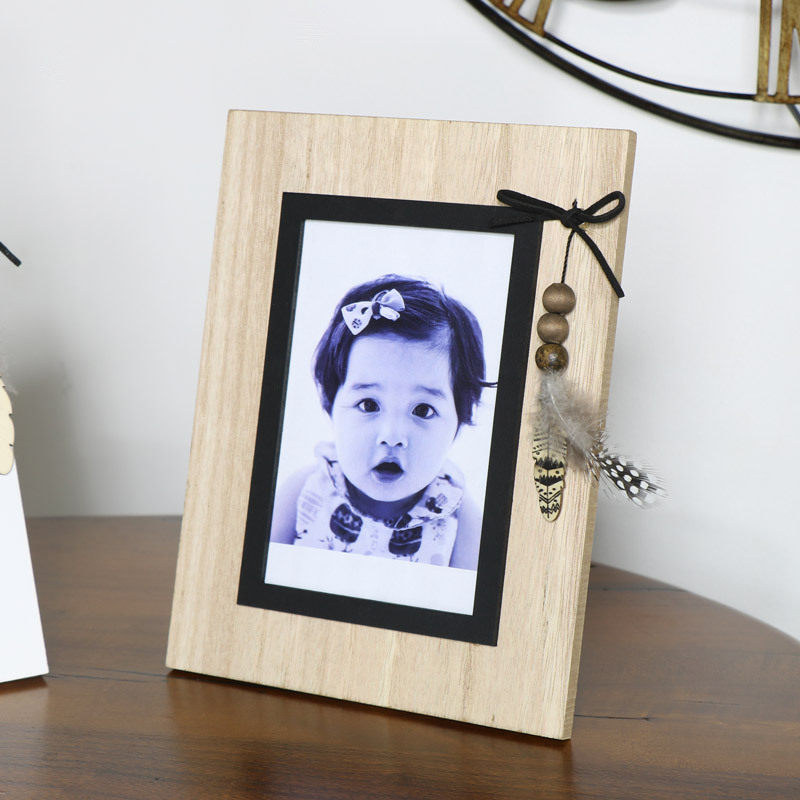 Rustic photo frame for proudly displaying treasured pictures of family and friends and special memoires captured on camera. Natural style frame in a rustic look. The frame comes decorated with a hanging feather motif. Holds photo size 10cm x 15cm and will look great with a memorable photograph displayed in style. 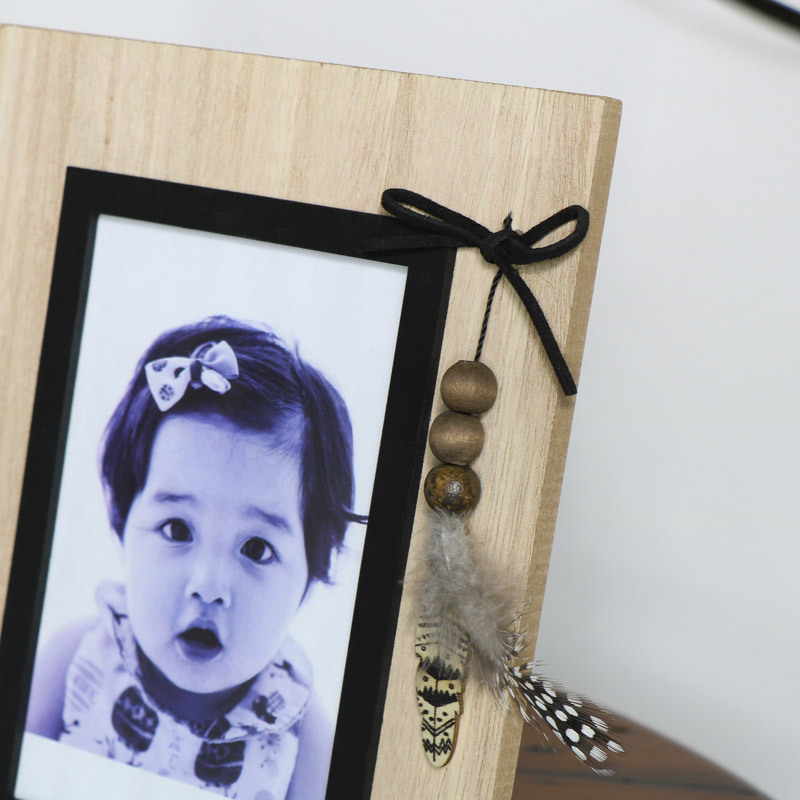 Rustic photo frame for proudly displaying treasured pictures of family and friends and special memoires captured on camera. Natural style frame in a rustic look. The frame comes decorated with a hanging feather motif. Holds photo size 10cm x 15cm and will look great with a memorable photograph displayed in style. Rustic wooden frame in a natural finish with black inner aperture surround.